Modeling of fluid properties in high pressure hydraulic systems. Innovative testing methods for hydraulic pumps, motors. CFD simulation applied to hydraulic components. Simulation of hydraulic circuit for mobile machinery for energy savings solutions. 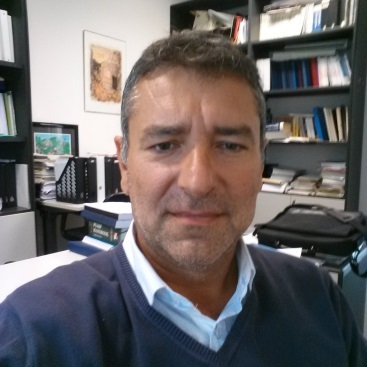 Paolo Casoli is coauthor of about 100 scientific publications presented in both Italian and International conferences and Journals, here are reported the research activities carried out as associate professor. P. Casoli, A. Anthony, M. Rigosi (2011) “Modeling of an Excavator System – Semi empirical hydraulic model” SAE - International Journal of Commercial Vehicles October 2011 vol. 4, Issue 1, pp. 242- 255. ISSN: 1946-391X. doi:10.4271/2011-01-2278. Junjie Zhou, Andrea Vacca, Paolo Casoli (2014) “A Novel Approach for Predicting the Operation of External Gear Pumps Under Cavitating Conditions “ Simulation Modelling Practice and Theory, Volume 45,June 2014,Pages 35-49, Elsevier; http://dx.doi.org/10.1016/j.simpat.2014.03.009. Codice Scopus: 2-s2.0-84898944049. Cordioli Matteo, Rinaldi Massimiliano, Copelli Gabriele, Casoli Paolo, Barbanti Davide (2015) “Computational fluid dynamics (CFD) modelling and experimental validation of thermal processing of canned fruit salad in glass jar” DOI:10.1016/j.jfoodeng.2014.11.003. pp.62-69. In JOURNAL OF FOOD ENGINEERING - ISSN:0260-8774. In JOURNAL OF FOOD ENGINEERING vol. 150, April 2015. WOS:000349062600008. P. Casoli, A. Gambarotta N. Pompini, L. Riccò (2015) “Coupling excavator hydraulic system and internal combustion engine models for the Real-Time simulation” Control Engineering Practice (2015), pp. 26-37 DOI information: 10.1016/j.conengprac.2015.04.003. Codice Scopus: 2-s2.0-84928891181. G.L. Berta, P. Casoli, A. Vacca, M. Guidetti (2002) “Un codice per la simulazione di una pompa volumetrica a pistoni assiali” Oleodinamica e pneumatica. Numero 4, pp. 56-63 Aprile 2002. ISSN: 1122-5017. Casoli P., Vacca A. (2003) “Modeling of an axial piston pump for pressure ripple analysis” The Eight Scandinavian International Conference on Fluid Power, pp. 207-222, Tampere Finland May 7-9, 2003. ISBN 952-15-0972-4. D.Anguita, M.Canova, P.Casoli, A.Gambarotta, F.Rivieccio, (2003) “A Learning-Machine based method for the simulation of combustion process in automotive I.C.Engines”, Spring Technical Conference of the ASME Internal Combustion Engine Division, Salisburgo, May 2003. ISBN 0-7918-3669-X. P. Casoli, A. Vacca, G. Franzoni (2004)“Experimental investigation on a hydraulic special poppet valve” 3rd FPNI-PhD Symposium on fluid power, pp. 567-578, Terrassa, June 30th-July 2nd, 2004. ISBN:84-609-1354-6. P. Casoli, A. Vacca, G. Franzoni (2004) “A Numerical model for the simulation of a special poppet valve” 3rd FPNI-PhD Symposium on fluid power, pp.165-174, Terrassa, June 30th-July 2nd, 2004. ISBN:84-609-1354-6. P. Casoli, A. Vacca, G. Franzoni, G. L. Berta, (2004) “Modelling of fluid proprieties in hydraulic positive displacement machines” Proceedings of SIMS 2004, pp. 341-350, Copenhagen, Denmark September 23-24, 2004. ISBN: 87-7475-3169. G.L. Berta, P.Casoli, A. Vacca, G. Franzoni (2005) “Sviluppo di un codice di simulazione numerica del funzionamento di pompe a pistoni assiali” 60° Convegno A.T.I., 855-864, Roma, 13-15 Settembre 2005. P. Casoli, A. Vacca, G. Franzoni, (2005) “A numerical model for the simulation of external gear pumps” The sixth JFPS International Symposium on Fluid Power, Tsukuba, Japan, Novembre 07-10 November 2005. Casoli P., Vacca A., Longeri M., Berta G.L. (2006) “CFD analysis of a homogeneizing valve in presence of cavitation” Proceedings of SIMS 2006, pp. 80-87, Helsinki, Finland, 27-29 September 2006.ISBN 952-5183-30-0. Casoli P., Vacca A., Franzoni G., Guidetti M. (2008) “Effects of Some Relevant Design Parameters on External Gear Pumps Operating: Numerical Predictions and Experimental Investigations” 6th International Fluid Power Conference (pp. 469-483 vol. 2) Dresden 31/03-02/04 2008. Andrea Vacca, Paolo Casoli, Michele Greco (2009) “Experimental analysis of flow through external spur gear pumps” (ICFP) Proceedings of the Seventh International Conference on Fluid Power Transmission and Control, pp.277-282, Vol. 2, Hangzhou, China, 2009. ISBN 978-7-5062-8213-0. Paolo Casoli, Alvin Anthony, (2011) “Modeling of an Excavator – Pump Nonlinear Model and Structural Linkage/Mechanical Model”, Proc. of 12th Scandinavian International Conference on Fluid Power, pp. 25-40, Vol. 3, May 18-20 2011, Tampere, Finland. ISBN 978-952-15-2520-9. Alvin Anthony, Paolo Casoli, Andrea Vacca (2010) “Analysis of a tractor rear hitch control system” Proc. of 6th FPNI-PhD Symp. West Lafayette, 15-19 June 2010, pp. 589-602. FPNI Fluid Power Net Publications, 2010. ISBN: 1-932739-15-7. P. Casoli, A. Anthony, M. Rigosi (2011) “Modeling of an Excavator System – Semi empirical hydraulic model” SAE 2011 Commercial Vehicle Engineering Congress, Rosemont, Illinois, USA, 13-14 September 2011. doi:10.4271/2011-01-2278. P.Casoli, G. Copelli, M. Manfredi, G. Vignali (2011) “Modeling and simulation of the sterilization process of pouch packaging in an aseptic line” The 10th International conference on modeling ad applied simulation, MAS 2011, pp. 503-509. Roma 12/9/2011. ISBN 978-88-903724-5-2. A. Anthony, L. Riccò, P. Casoli, A. Lettini, C. Dolcin (2012) “Modeling of an Excavator System – Axial piston pump, kinematics and prime mover” Proceedings of the 7th PhD symposium on fluid power, pp. 165-183, June 27-30 2012, Reggio Emilia (Italy). ISBN: 978-88-7559-069-7. P. Casoli,. L. Riccò, D. Cesare (2013) “Modeling and verification of an excavator system – Axial Piston Pump, Kinematics and Load Sensing Flow Sharing Valve Block” The 13th Scandinavian International Conference on Fluid Power, SICFP2013, June 3-5,2013, Linköping, Sweden http://dx.doi.org/10.3384/ecp1392. ISBN (print): 978-91-7519-572-8. ISSN (online) 1650-3740. ISSN (print). 1650-3686.